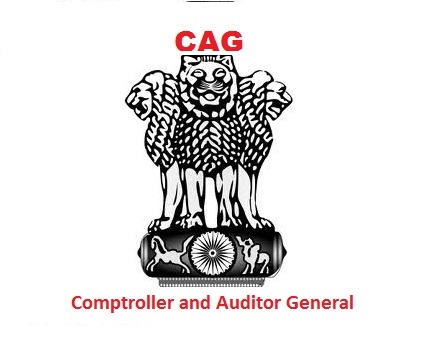 The full form of CAG is Comptroller and Auditor General. CAG is an authority established by the Constitution of India. It audits the expenditure of government and creates a report on it. President of India appoints the cag on the recommendation of Prime Minister. CAG takes his oath before the president of India. After a person is appointed as a cag, he is not allowed to keep any positions in any government offices. The salary of a cag is same as the salary of a judge of supreme court. His status is also same as the status of a judge of supreme court. In Indian order of precedence, CAG is ranked ninth. CAG can only be removed from his post by president of India on the recommendation of parliament (supported by two third majority of the total members of both the houses). A person holds the office of CAG for maximum six years or up to the age of 65. The first cag was V. Narahari Rao. The current cag is Shashi Kant Sharma. Comptroller and Auditor General ensures that no extra amount is expended without the sanction of parliament by auditing the accounts of government of India. CAG also audits the accounts of the state government and the accounts of the authorities substantially financed by the government. He/She acts as the external auditor for the government owned companies.